Even though he’s just a bunny, Fuuki was a big fan of Prince. What a legend! Rest In Peace Prince, thanks for everything! Fuuki heard the news and stayed up till 2:30 finishing off ‘Prince Fuuki’. There was some interest in seeing Fuuki’s tribute of Prince on a t-shirt, therefore i’m trying something new. 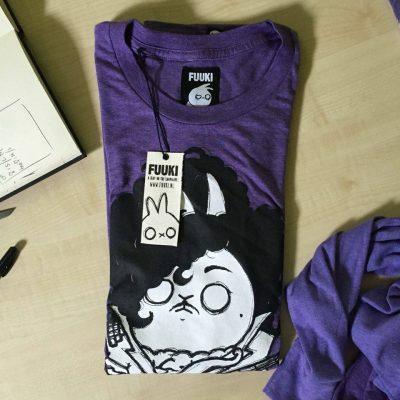 Whoever would like to have their own Prince Fuuki t-shirt can pre-order it here in our online store until next week Monday, May 2nd 2016. Tote bags available now, right here. 17/05 – And they’re send away!